Most New York City buildings are beautiful works of architecture. However, many of the features that make them attractive can also make them dangerous, when not properly maintained. After an unfortunate accident took the life of a pedestrian, city officials stepped in and created legislation requiring building owners to make New York City buildings safer for pedestrians and to maintain the exterior walls and appurtenances of all buildings over six stories. Every 5 years a building over 6 stories high must have a critical examination of its exterior façade conducted by or under the supervision of a registered architect or professional engineer to determine if there are any appurtenances that are in danger of collapse. Such appurtenances include cornices, parapet walls, bricks, lintels, copings, and even improperly installed air conditioners. Often, the engineer or architect will determine the necessary method of inspection and construction companies, such as Bellet Construction, will perform the actual inspection. 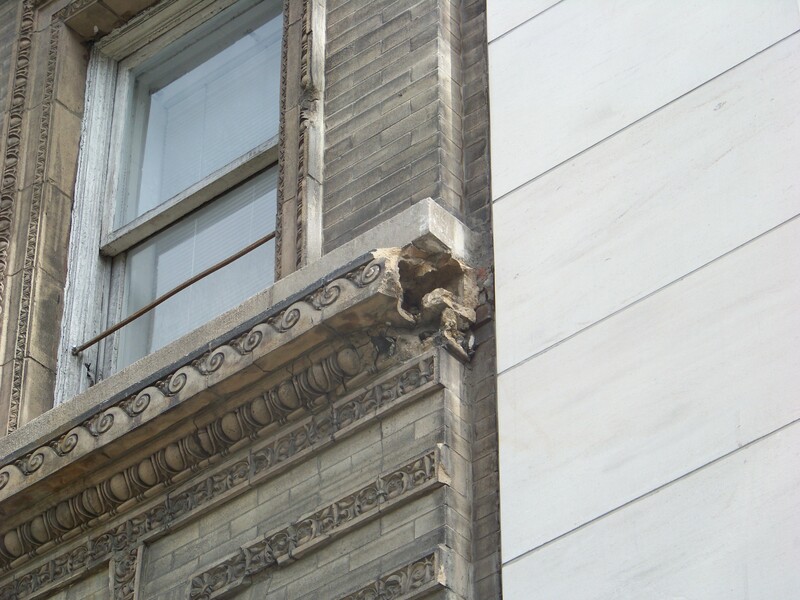 After the building façade has been inspected, the architect or engineer will deem the building one of three things: Safe, Safe with a Repair and Maintenance Program, or Unsafe. A building found to be in safe condition does not currently need repair or maintenance on the exterior of the building in order to maintain the structural integrity of the building, and should not need any repair for the next five years. A building found Safe with a Repair and Maintenance Program is one that is safe at the time of the inspection, but which will need some form of repairs and maintenance within the next five years in order to remain safe. A building found unsafe is one with an exterior that is dangerous to persons or property and requires immediate repair. If a building is found unsafe, the owner has 30 days to correct all unsafe conditions. An extension can be given, although financial hardship is not an acceptable reason to request more time. If you see any conditions that seem dangerous, you should contact the New York City Department of Buildings by calling 311 and report it. © 2015 Bellet Construction Co., Inc. All rights reserved.